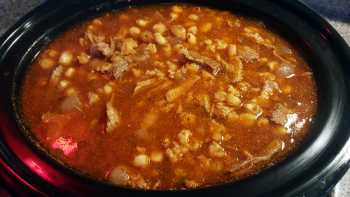 EASY to make Red Chile Posole! 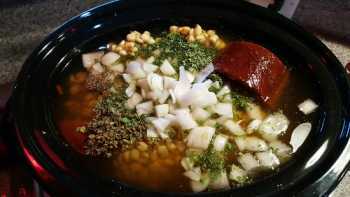 We love posole, red or green (green is our favorite) and when you have company over this recipe is a hit! 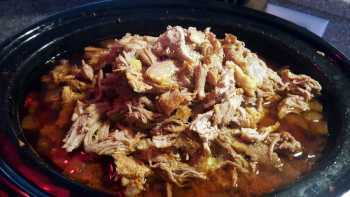 Add all the ingredients into your slow cooker (6qt or larger for this recipe). If cooking from frozen as depicted, cook on high 3 - 4 hours then low for 6 - 7 hours. 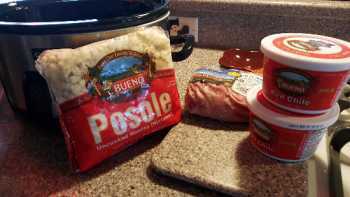 Start this early when adding frozen pork, red chile and posole. If you let the pork and red chile thaw, you can cook on low for 8 - 10 hours. After 6 - 7 hours, take the pork shoulder out and let cool. 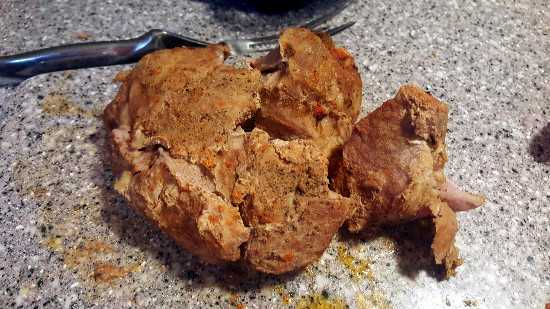 Then either pull apart with your fingers or cut and shred with a knife and fork. Place the pork back into the slow cooker for the final 1 - 2 hours. 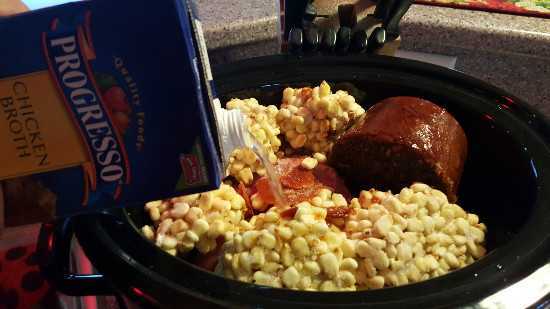 I only add half the bag of posole or it won't all fit in a 6 quart slow cooker. But if you love posole, add the entire bag if you have a larger slow cooker. Or cook in a large stock pot on low. If you are using canned hominy, use 2 14oz cans. Be sure to drain and rinse, and add about an hour or 2 before serving.